It’s the end of yet another busy workday. You head home, pick up the mail, and the minute you slide into your favorite chair and put your feet up, you realize that you’re about to miss yet another appointment. Facing exhaustion, you have a decision to make: do you head back out or just skip it? 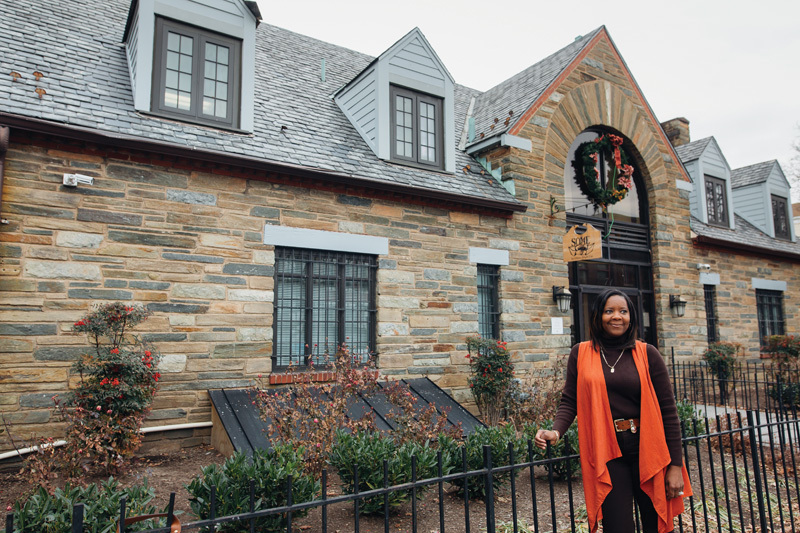 For Annapolis-based private business owner, community advocate, and recent Fannie Lou Hamer Award recipient Yvette Jackson-Morrow, there is only one answer, especially when it comes to volunteering. Yvette joined the Anne Arundel County Branch of the NAACP in 1997 and in 2014 won the NAACP President’s Award for going above and beyond as a community organizer. The 50-year-old wife, mother, and part-time student with an additional full-time job, has been assisting others in a variety of capacities since her parochial school days in Brooklyn, New York. That’s where her late grandmother Evelyn—whom Jackson-Morrow referred to as “the neighborhood grandma and living history book”—instilled the importance of service to all 13 of her grandchildren and led by example. Whether it was visiting with the elderly at senior centers, offering people temporary shelter, or cooking food for the hungry, time was valuable and not meant to be squandered. 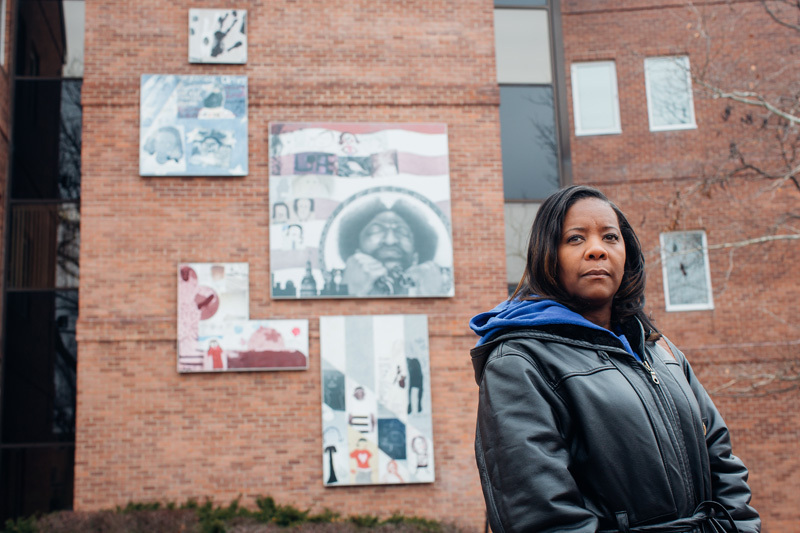 Her drive to help the underserved and marginalized didn’t stop when school ended; it only became stronger, evolving into a broader mission of fighting for justice, and leading her to pursue work as a legal secretary/paralegal. In 1995, she moved to Annapolis to make a better life for herself and her family and became engaged within her community almost immediately, starting at her children’s school. On October 1, 2017 Yvette Jackson-Morrow is the recipient of the 2017 Fannie Lou Hamer Award, which recognizes women in Anne Arundel County for their work on behalf of civil and human rights. In 1997, Jackson-Morrow joined the Anne Arundel County Branch of the National Association of the Advancement of Colored People (NAACP), one of the nation’s oldest civil rights organizations. There, she focused on mobilizing citizens to vote through registration and education. One of her best memories was bringing the spirit of unity and diversity to life in August 2013, when she participated with the nonprofit and its myriad chapters in the March on Washington’s fiftieth anniversary. A year later, she won the NAACP President’s Award for going above and beyond her peers as a leader and community organizer. Jackson-Morrow also donates her time and energy across numerous area organizations. She was elected second vice president of the child-focused Anne Arundel County chapter of Continental Societies, Inc., after serving two years as its historian and chair of recreation and earning its President’s Award in 2009. She operates as Conductress of the Miriam Chapter 24, Order of the Eastern Star, Prince Hall Affiliated, Severna Park, and is an auxiliary member of the American Legion Cook-Pinkney Post 141. In 2008, Jackson-Morrow switched careers and began working at Edison Electric Institute in Washington, DC. Her boss knew of her interest in giving back—which also included annual charity walks with The United Way, Walk MS, and the Susan G. Komen Race for the Cure—and entrusted her with coordinating the department’s volunteer initiative. She and her colleagues have been serving food to the homeless and less fortunate at So Others Might Eat (S.O.M.E.) on the fourth Tuesday of each month since 2014. Jackson-Morrow emphasizes that she does not pursue volunteer work to win awards or be put in the spotlight. The work is just as necessary to her existence as is oxygen. When it comes to her altruism, she thinks locally and globally. Her concern for Mexico’s September 2017 earthquake victims prompted her and her high school friend Dr. Debbie Young to donate 75 toiletry-filled backpacks across the border. Humans at all ends of life’s spectrum interest Jackson-Morrow. One of the reasons she stepped down as NAACP branch secretary in January 2017 was so that she could focus on her current studies in mortuary science. She anticipates completing school in 2019 to become a licensed funeral director. To her, the career shift is a natural progression of service. “I look at it as being the last caregiver to your loved one,” she says. Yvette points to some of the people who gave her the NAACP President’s Award in 2014. Yvette started volunteering at age five with her church in New York. Her grandmother was her inspiration to live a life in service and her whole family played a big role in living in community service. Since 2008, Yvette has been volunteering once a month at So Others Might Eat (S.O.M.E.) a nonprofit organization in Washington, D.C. that serves food and resources to the homeless and less fortunate. Yvette is seen as a young child braiding her grandmother’s hair. Her grandmother was her inspiration to live a life in service and her whole family played a big role in living in community service. Error: Error validating access token: Session has expired on Saturday, 09-Mar-19 15:57:50 PST. The current time is Tuesday, 23-Apr-19 09:21:27 PDT.